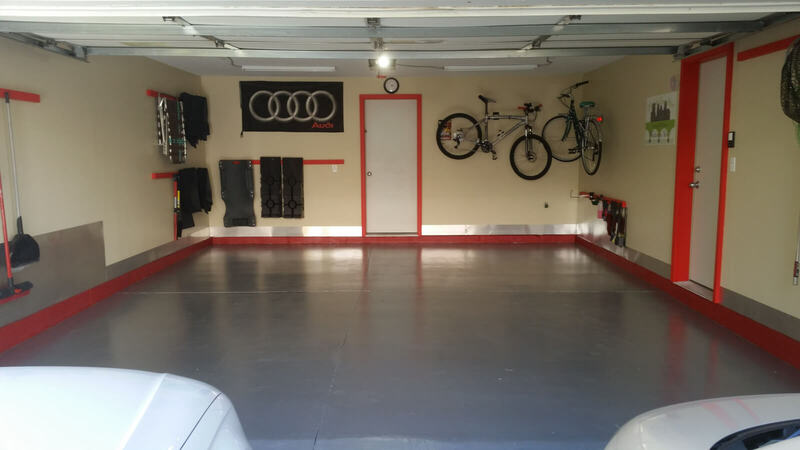 What is the best flooring for a shop floor? 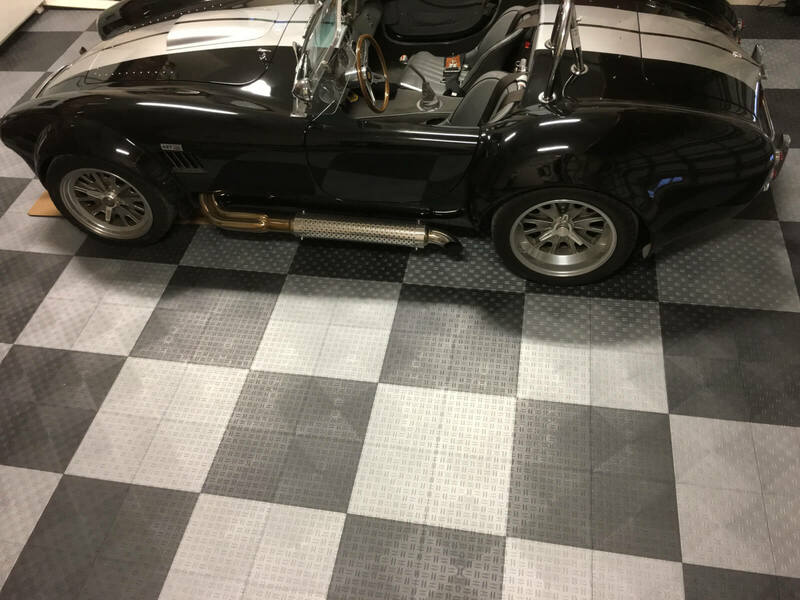 Comments Off on What is the best flooring for a shop floor? 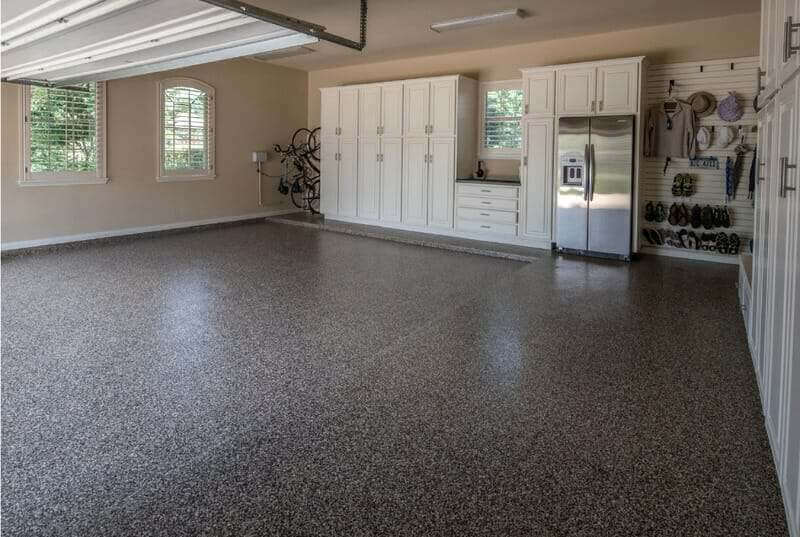 If you are more worried about protecting the concrete and keeping it from staining, a concrete densifier is probably the most cost effective, efficient and low maintenance solution. A concrete densifier, as the name implies, hardens concrete and fills in the pores. 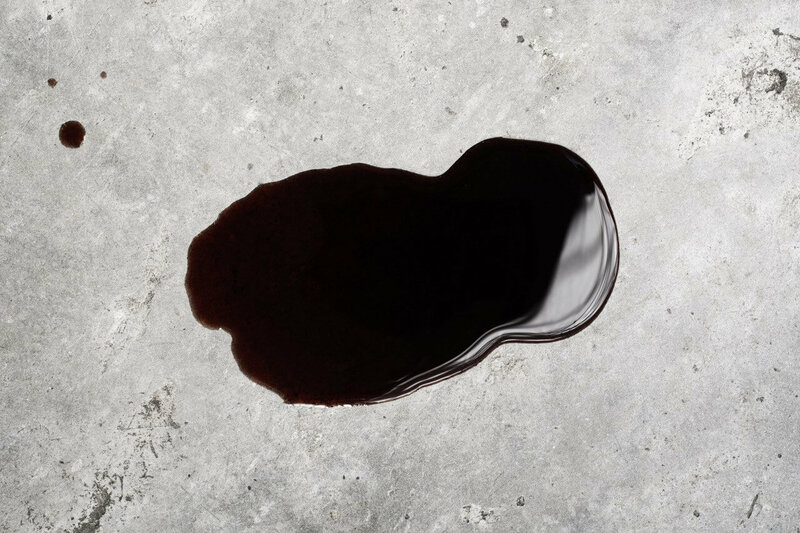 It is a permanent, chemical change to concrete. 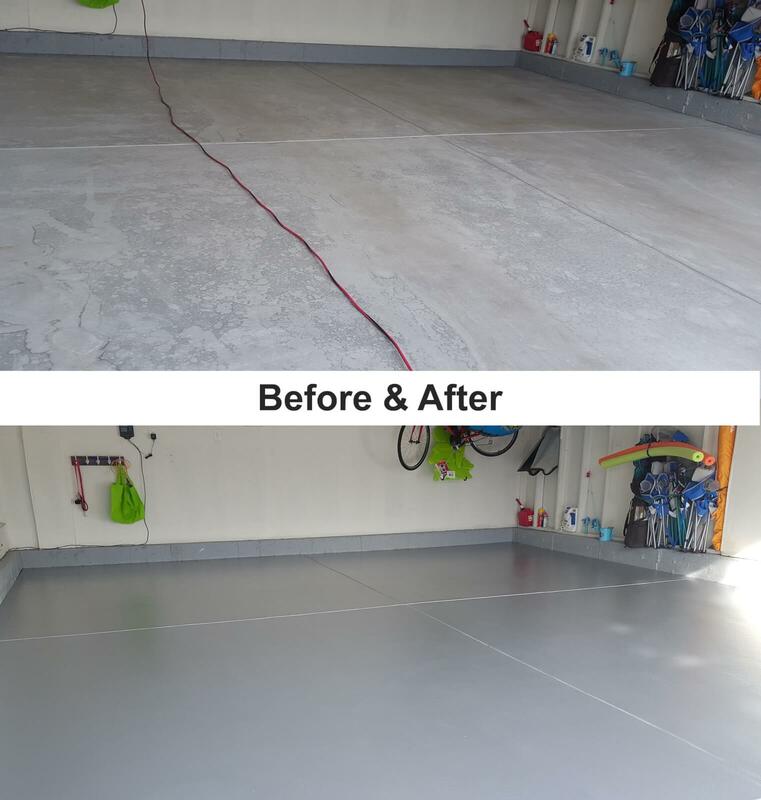 It penetrates the surface and increases abrasion resistance, reduces dusting and generally speaking makes the concrete more durable. 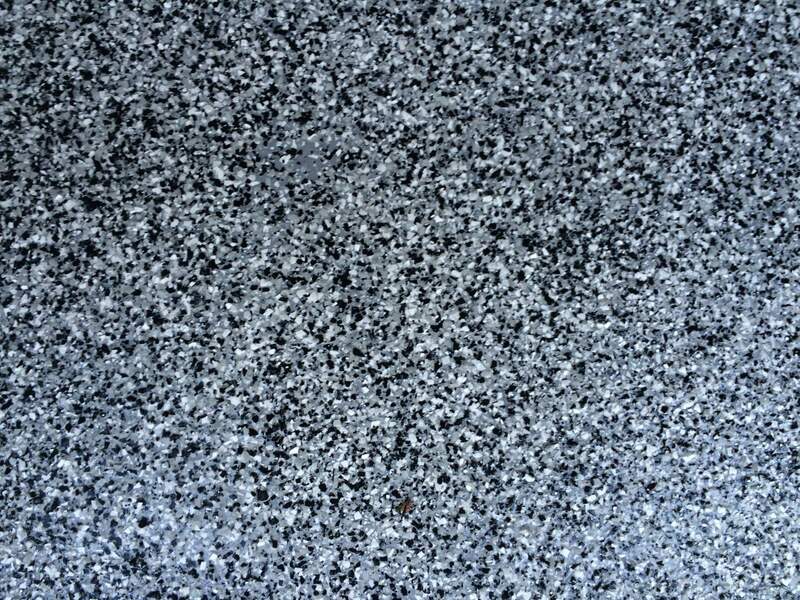 It is not a coating and adds no aesthetic value. It also does not ‘wear off’ and does not need to be re-done. Since it is not a coating, it is not affected like a coating would be. 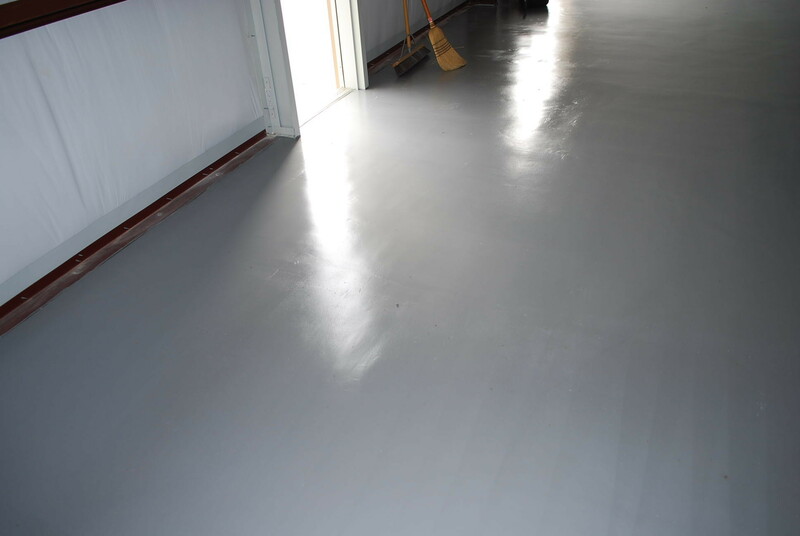 The counter part to this is a surface conditioner and stain protector such as TL40. This is applied after the densifier and will eventually need to be re-applied. Both concrete densifier and the surface conditioner can be mopped on or applied with a garden sprayer. 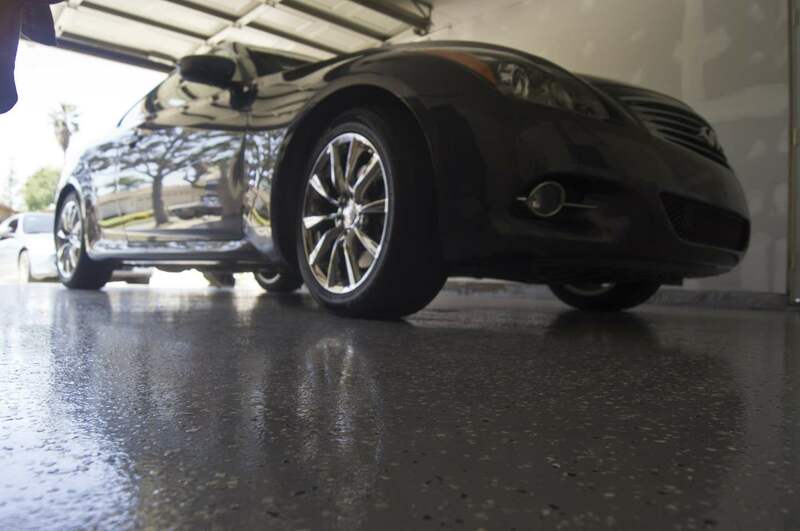 You can also do a grind and polish application for a high gloss concrete floor — but maintenance is required. 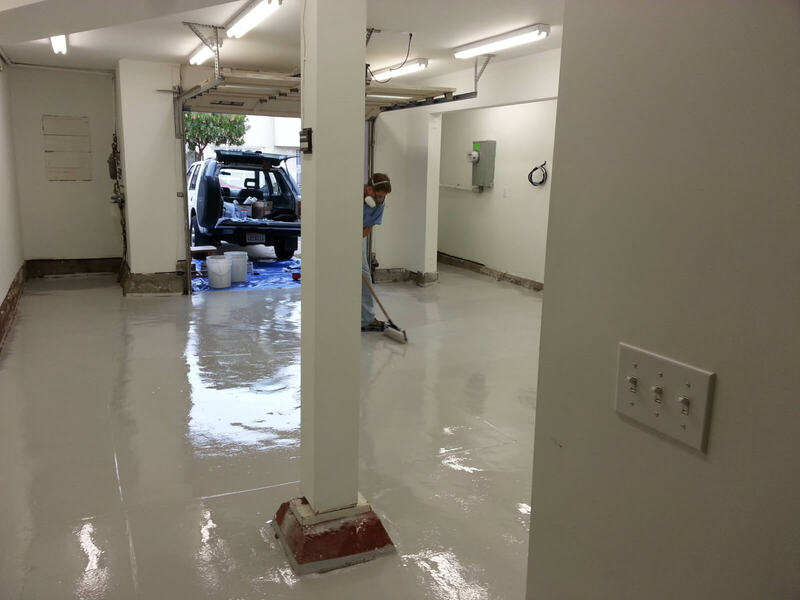 When we talk about an epoxy coating, we are generally talking about an entire system and process. 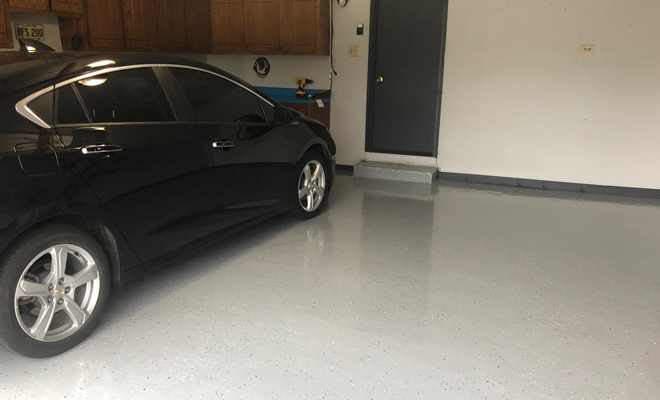 Especially in harsh conditions like a shop, making sure the floor is done right and with the correct materials is extremely important. 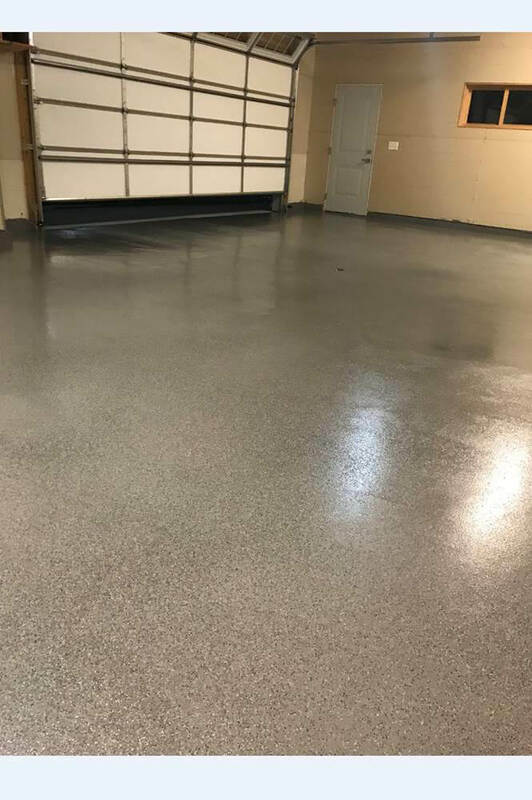 You will want to diamond grind the floor with a product like Diamabrush Concrete Prep tool, prime the floor, a good base coat and potentially a chemical resistant top coat. 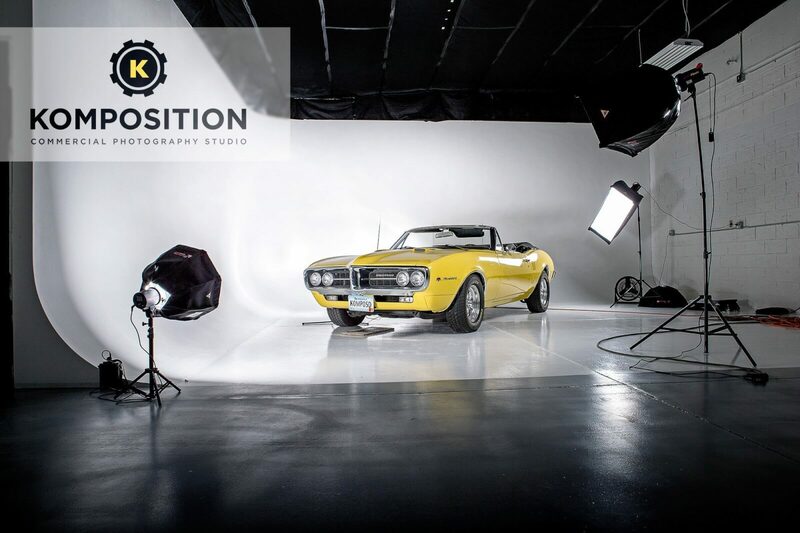 That will ultimately depend on which epoxy system you choose. A full broadcast system is high end and will be more expensive than other systems. 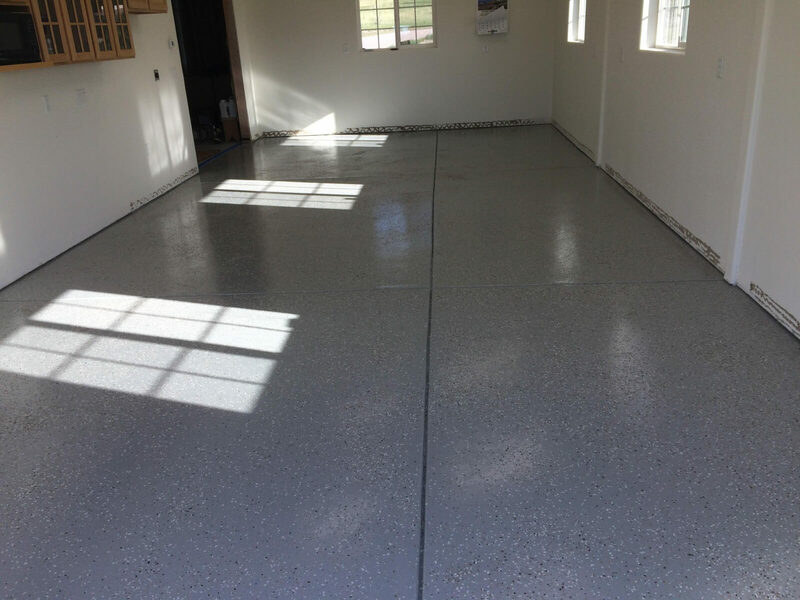 After the base epoxy layer is applied it is completely covered with Quartz or Flake. 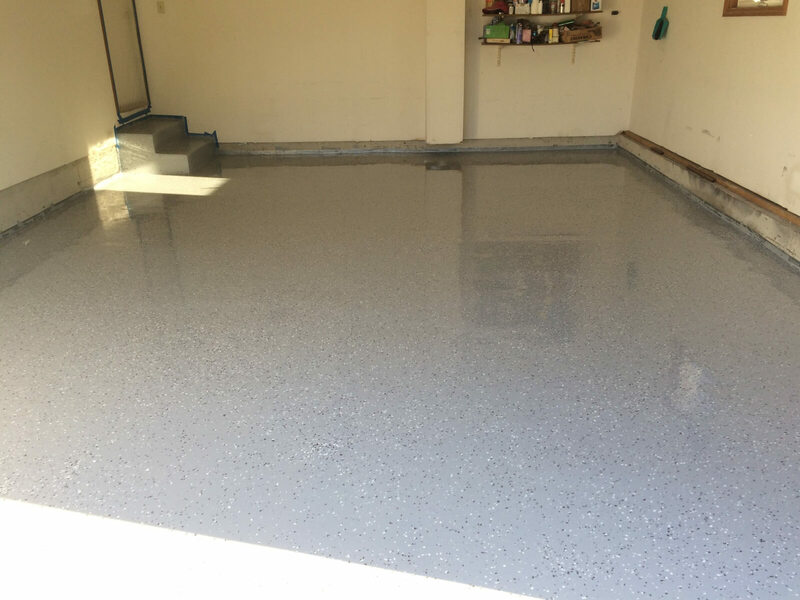 Then the Quartz or flake are covered with a clear epoxy and a couple coats of urethane. I prefer one top coat of clear epoxy followed by an aliphatic urethane. Traditional epoxy and random broadcast can also be used. You lose a little durability and damage is more noticeable. A better alternative to this is an industrial orange peel textured epoxy. The texture hides damage and it is applied really thick. Some people will go as high end as an epoxy mortar floor, but this is generally overkill. This is another option we really like for shop floors. 4 coats of Rust Bullet for Concrete. That’s it. Get your shop floor clean and dry and apply. 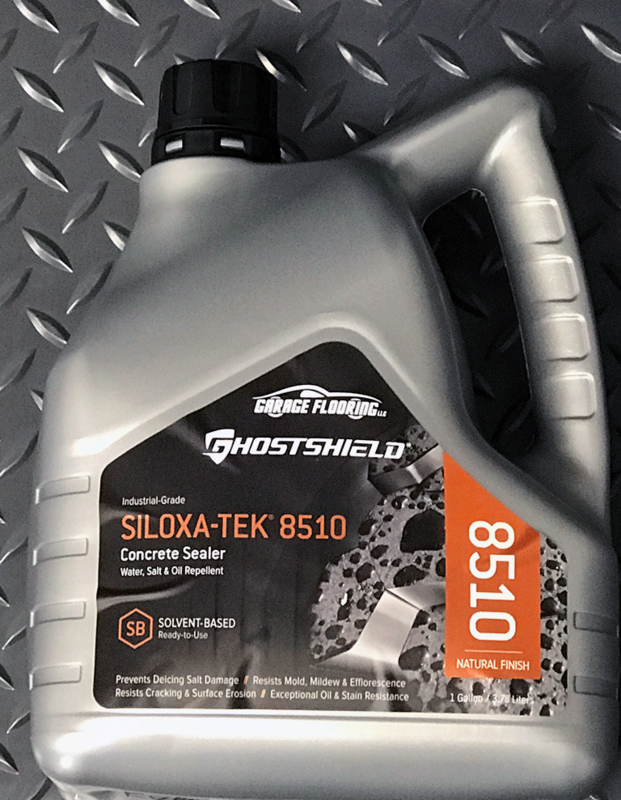 It is highly chemical resistant, has amazing test and real world results and only requires a light sanding if you want to touch up in the future. Abrasion testing is perhaps the most applicable test and Rust Bullet outperformed all of it’s competitors in third party testing. It also excelled at the accelerated weathering tests and salt spray tests. Both of these are important to those of us in cold weather climates. Tiles and or Roll Out flooring can be appropriate in some shops. They provide the benefit of anti fatigue, but the nature of what transpires in the shop must be discussed. Generally speaking PVC tiles are a better option than rigid tiles. If you are going to use a roll out floor, you should consider gluing it down.